Kenya – 6 Elephants in Masai Mara Die Mysteriously in 3 Months; were they poisoned? A report published on December 14, by the Mara Elephant Project (MEP), has indicated that from September to November, 26 elephants, which accounted for 42 per cent, died over ‘unknown’ causes suspected to be poisoning. 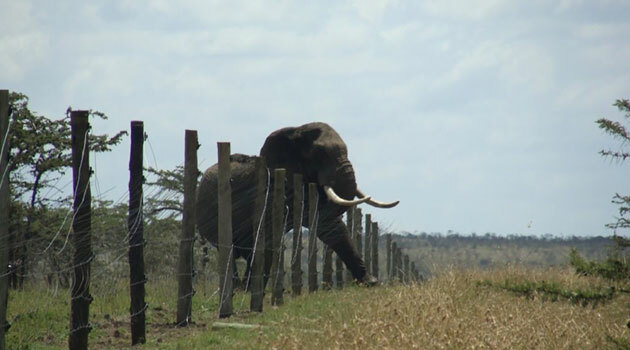 The elephant conservation group raised the alarm after the mysterious deaths, occurred in a span of three months within the same ecosystem, the Masai Mara Game Reserve. The MEP report further indicated that while human-wildlife conflicts such as an arrow wound, or poaching, in situations where tusks were removed, the rise in unknown elephant deaths was a disturbing new trend. According to the report’s findings, in September, three elephant carcasses were found in proximity in protected areas of the Mara within three days. In all the three deaths, Kenya Wildlife Service (KWS) and MEP rangers took samples that were sent to a lab for analysis. “In this instance, we’re looking for evidence that poison was used to kill the elephants. Other things we may find out is if a strong pesticide is found in their system that may have resulted in the deaths,” the report stated. The results received from the lab were essential to ensure that MEP could respond to these unknown deaths, or marked them properly as natural, poached or conflict-related. Last month, according to the report, seven elephant deaths were categorised as ‘unknown’ but there was evidence pointing towards poisoning as a result of conflict retaliation. However, the report, through a KWS postmortem conducted by the vets, ruled out a disease outbreak. 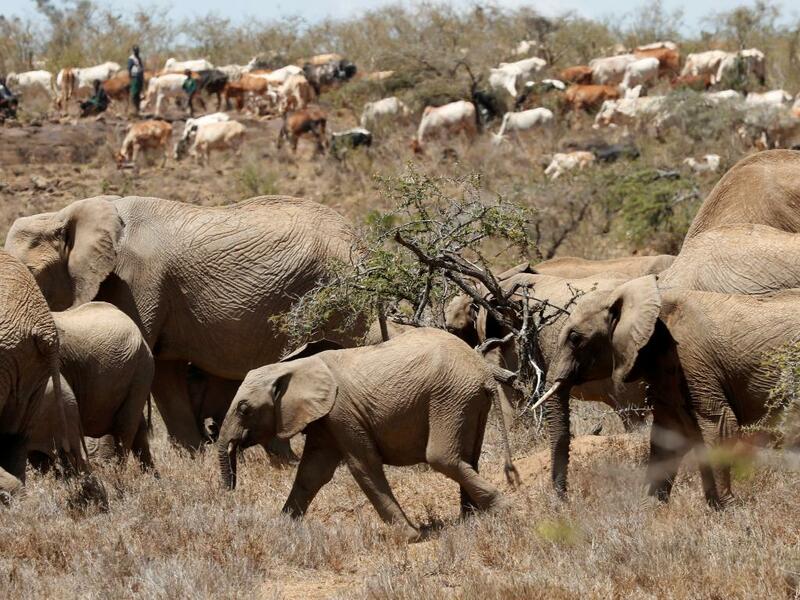 Furthermore, cases of human-wildlife conflicts have recently been reported in Narok and Laikipia constituencies. Among those killed was a Kenya Wildlife Service ranger, who was attacked by an elephant while patrolling Rumuruti forest. On the other hand, farmers especially those along Ngare Narok River, have abandoned their trade as their crops kept on being destroyed by the animals. It is reported that one Jojas Ngure, lost over Kshs 500,000 in the past four months after elephants invaded his two-acre cabbage farm. Similarly, Ann Giathaiga abandoned farming after her three-acre tomato farm was destroyed by elephants losing Kshs 600,000 as a result. According to the report recommendations by MEP, they would put a permanent ranger presence in the affected areas, in a bid to curb the human-wildlife related deaths on elephants. 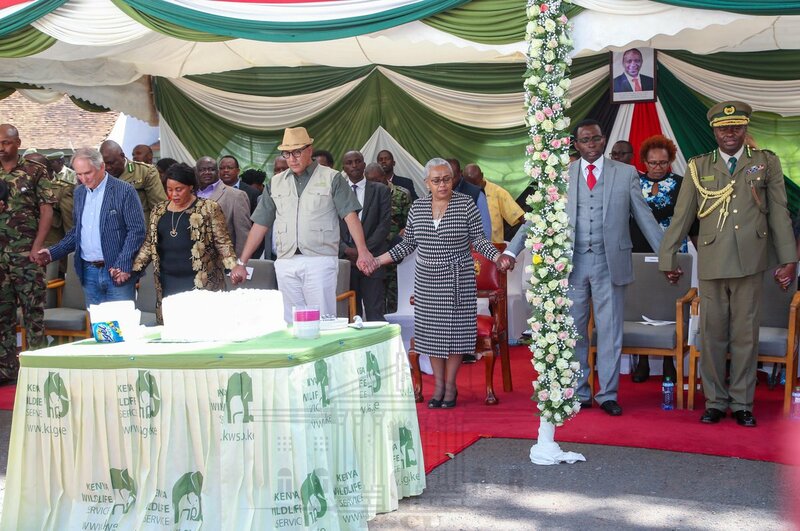 Elsewhere on Sunday, while leading celebrations to fete Kenya’s wildlife conservation heroes, First Lady Margaret Kenyatta called for shutting down of all wildlife trophy markets in the world in order to curb the poaching of precious species. The First Lady has been a champion of conservation and her efforts to protect elephants has previously led to the banning of ivory in many countries.